The Fender Telecaster was the first true production solid body electric guitar. A Tele is the first choice of country players the world over, and in the right hands can handle blues, rockabilly, rock n’ roll and even jazz. 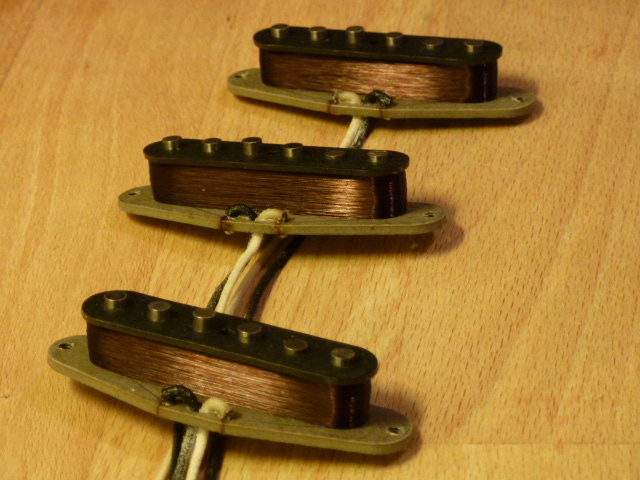 My Tele replacement pickups are true hand wound reproductions and can be fully customized to your taste. There are three outputs to choose from. 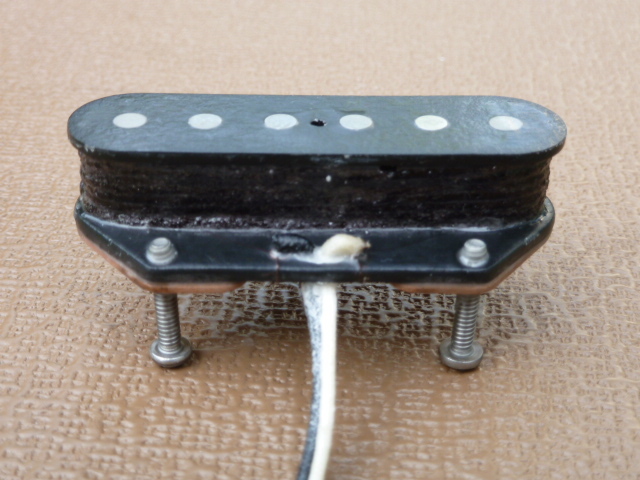 – STANDARD- pickups can be wound from 6.75 K to 7.5 K using 42 AWG Plain Enamel wire. 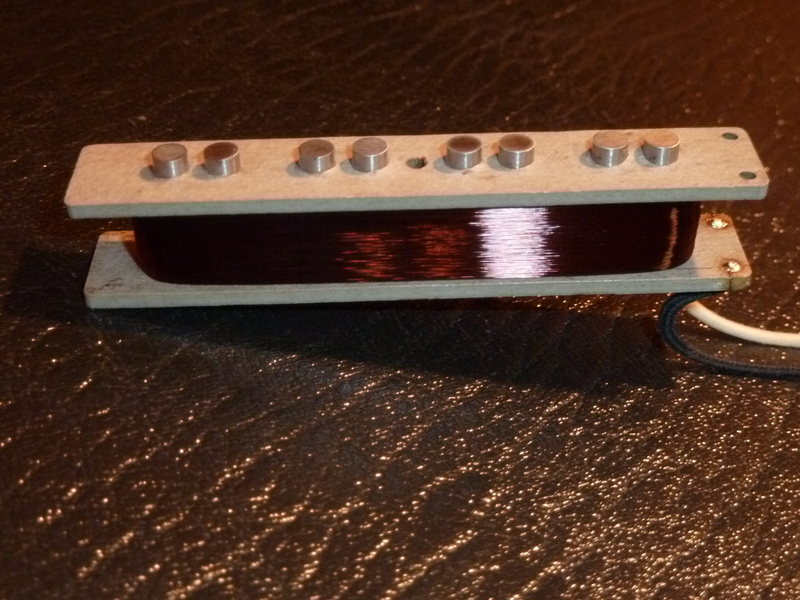 – OVERWOUND- pickups can be wound from 7.5 K to 8.5 K using 42 AWG Single Poly Nylon wire. 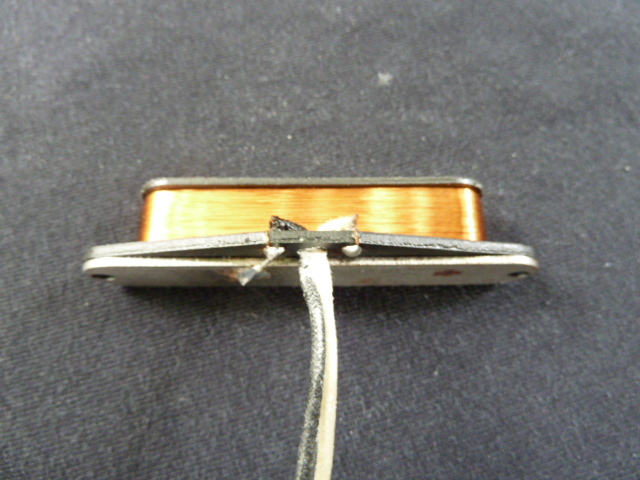 – EXTRA HOT- pickups can be wound from 9 K to 10 K using 43 AWG Plain Enamel wire. – AlNiCo V or AlNiCo II magnets or 1/2 & 1/2 (AlNiCo II on the E, A, and G strings, AlNiCo V on the D, B, and E strings. This will brighten the sound of a Tele that has dark and dull sounding wound strings). -Magnets can be staggered standard, all flat (broadcaster), or all flat with a raised D (for necks with a flatter than 10″ radius). 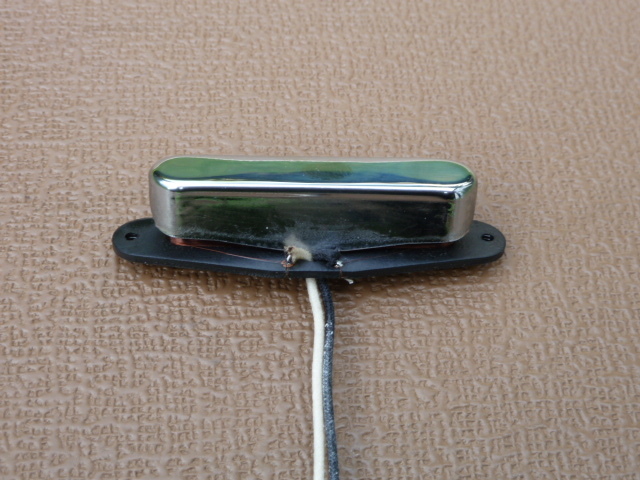 -STANDARD- neck pickups come with a nickel silver cover and are wound to 7 K using 43 AWG plain enamel wire. -Magnets can be staggered all flat or with an extended D (extends out of the bottom, for necks with a flatter than 10″ radius). 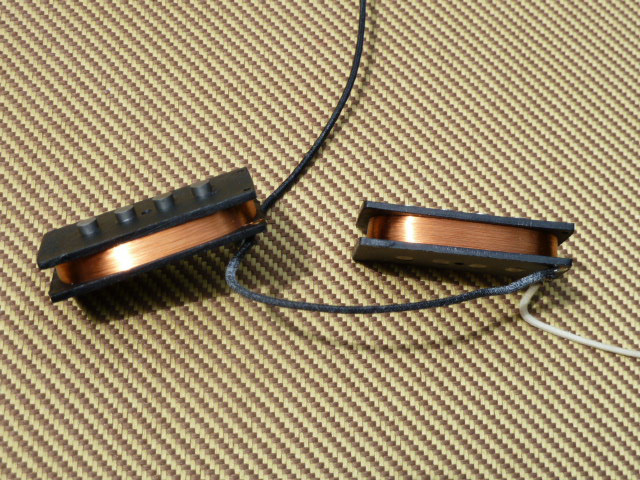 -OVERWOUND- neck pickups can be wound to 7.5 K using 43 AWG plain enamel wire (dark brown in color) and comes with NO COVER. This pickup is wrapped in black satin tape. -Magnets can be staggered all flat, or all flat with a raised D (for necks with a flatter than 10″ radius). 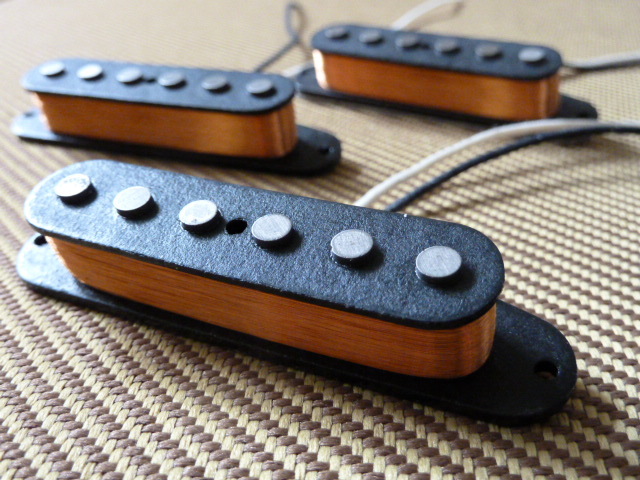 -EXTRA HOT – neck pickups can be wound to 8 K using 43 AWG plain enamel wire (dark brown in color) and comes with NO COVER. This pickup is wrapped in black satin tape. – All neck pickups are Reversed Wound/Reversed Polarity for hum cancelling operation when used together with the bridge pickup. The Jazz Bass has been a classic since it’s inception. Warm and clear, it has been heard on hundreds of well known recordings, and the choice of the most respected players in the world. 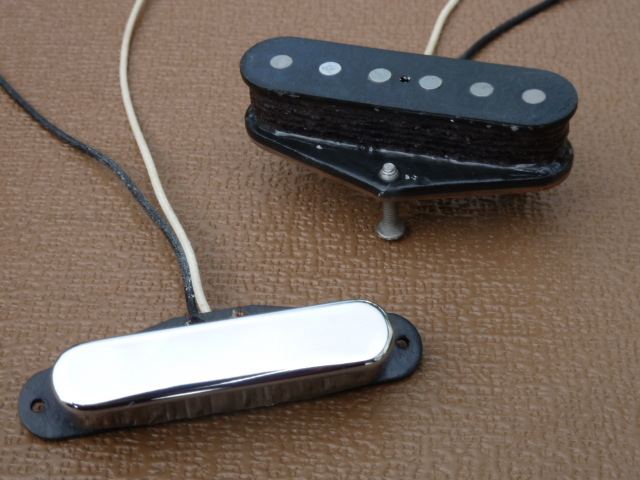 I make two models of J Bass pickups, a 50’s style using AlNiCo V magnets and 42 AWG Heavy Formvar and black vulcanized fiber board, and a 60’s style using AlNiCo V magnets, 42 AWG Plain Enamel wire and grey vulcanized fiber board. Both styles can be overwound using 42 AWG Single Poly Nylon wire. ** All pickups are wax potted to prevent microphonics. The P-Bass has defined the sound of electric bass since it’s invention. Loud, clear and a very even response will make sure you are heard and felt when you’re laying it down in the rhythm section. My P-Bass replicas use AlNiCo V magnets, 42 AWG Heavy Formvar wire, and are wound to vintage specs, 11 K.
I offer a very competent rewinding service for old and new single coil pickups. Got some dead Strats, Teles, J- Bass or P-Bass pickups lying around? Regardless of brand or age, Send them to me and I’ll return them to you sounding and looking better than before. Tell me if you want them wound stock, a little hotter, or a little cleaner. You are currently browsing the archives for the Tyler’s Products category.